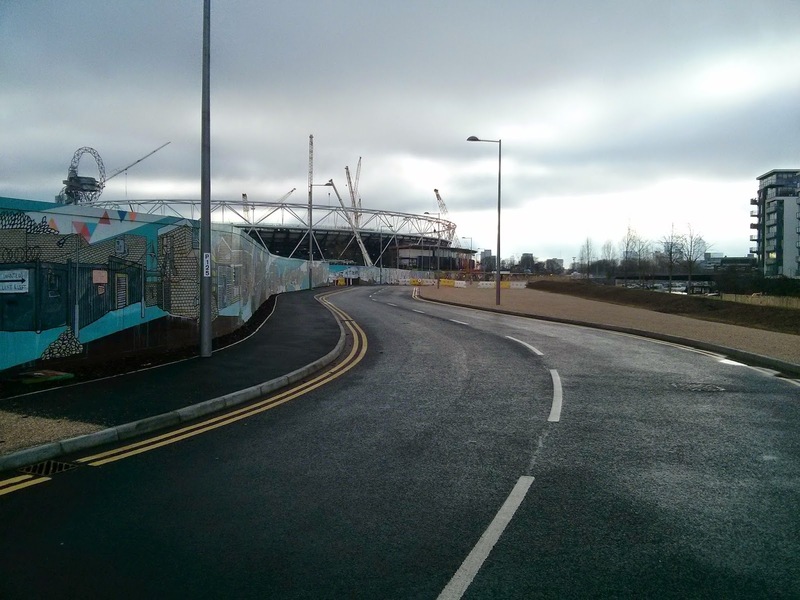 I first wrote about the Olympic Park back in July 2013, a year after the games had taken place and just after the Northern section of the park had reopened to the public. 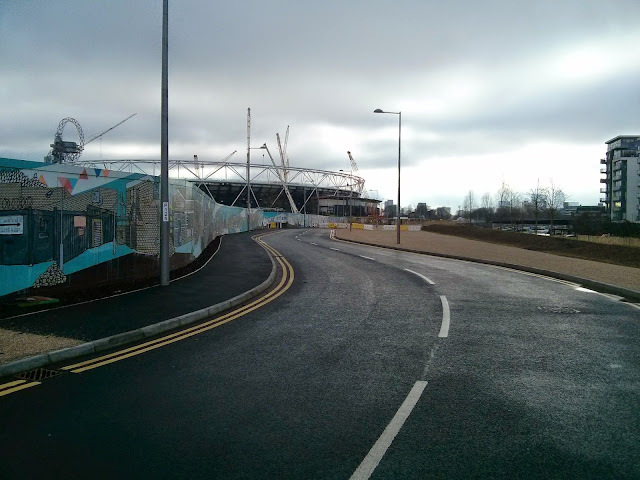 I revisited the park again with another post in 2014, just after the Southern half of the park reopened, followed by another post in 2015 to mark two and a half years since the end of the Paralympic Games. 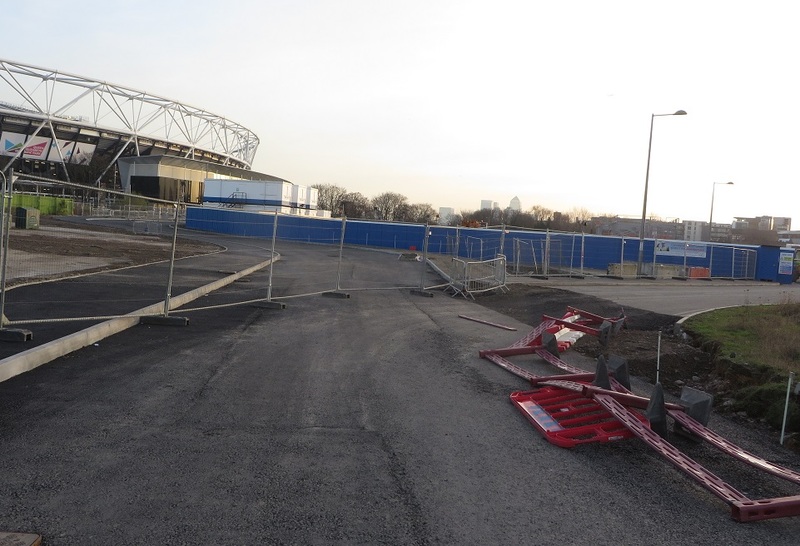 It was always my intention to revisit the park and write about it this summer, in order to mark five years since the games took place. 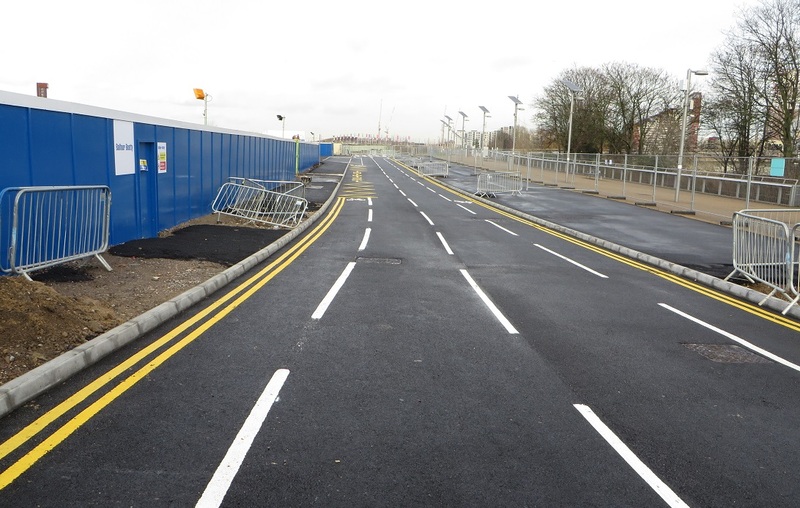 However a new road is currently being constructed in the park, so that'll be interesting for everyone, I thought. 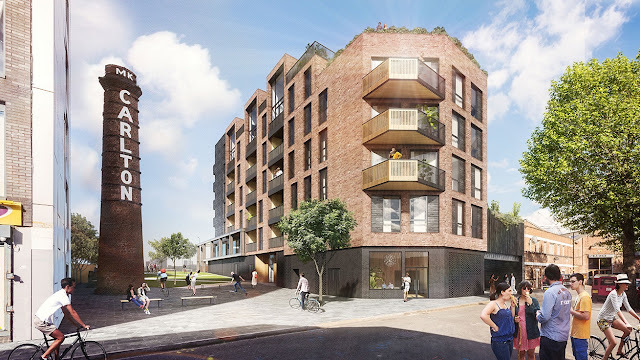 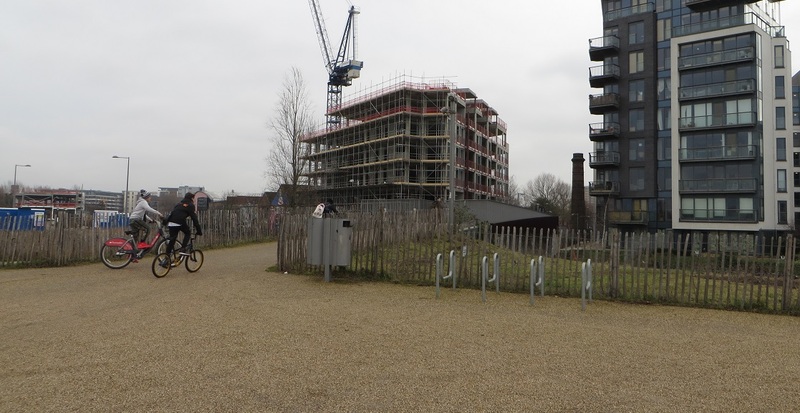 Currently in the very early stages of construction on the Western edge of the park, on the other side of the River Lea from the stadium, is Sweetwater; a new community consisting of around 650 homes, a primary school, two nurseries, a library and a health centre. Sweetwater will be located in the small area of the park that lies within the London borough of Tower Hamlets. 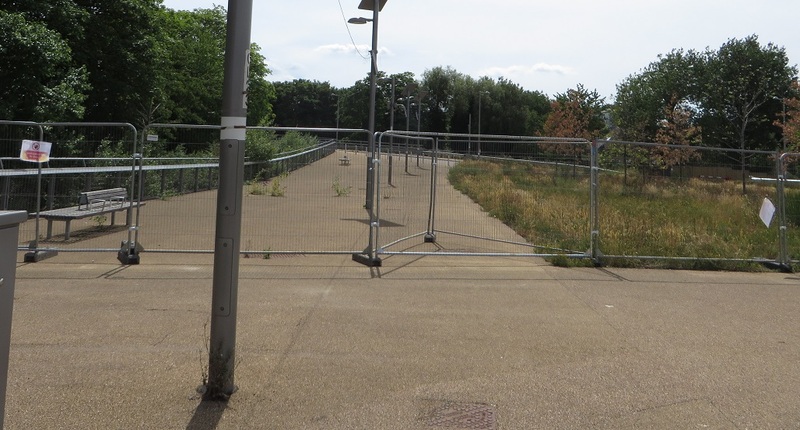 No sporting activities took places here in the Summer of 2012 but it did contain the worlds largest McDonalds, the London 2012 Megastore (which is where I bought my Team GB hoodie from, and which still gets the odd wearing to this day). It also served as the space where Gary Lineker and others presented the BBC coverage from the top of a stack of shipping containers along with a storage space for games vehicles to park up behind the Megastore and McDonalds. 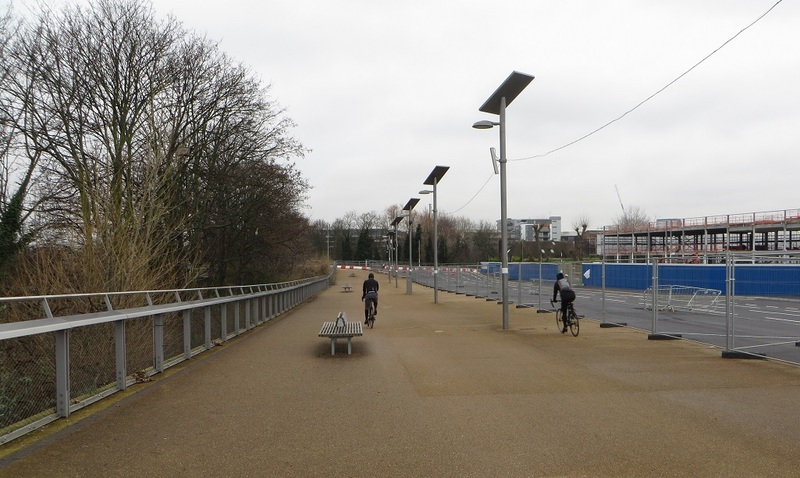 Prior to the Olympics, up until July 2007, this area was home to the Bow Industrial Park and the Carpenters Business Park, sandwiched between the River Lea and the Lee Navigation. 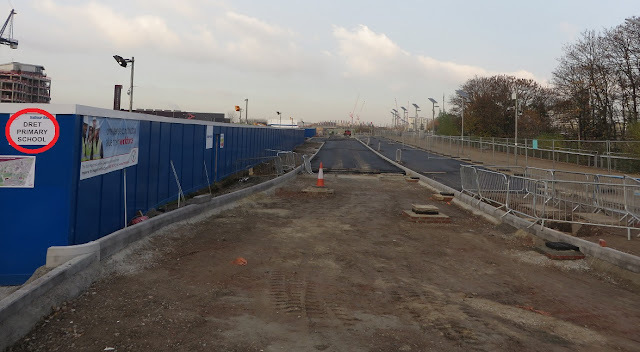 The same view during construction of the park. 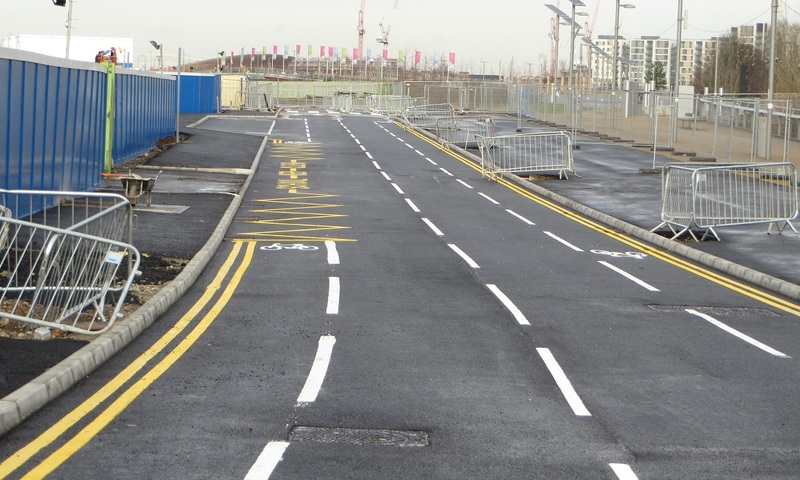 The former road through the industrial park is now part of the main orbital road used by construction vehicles and buses ferrying workmen between the various sites. 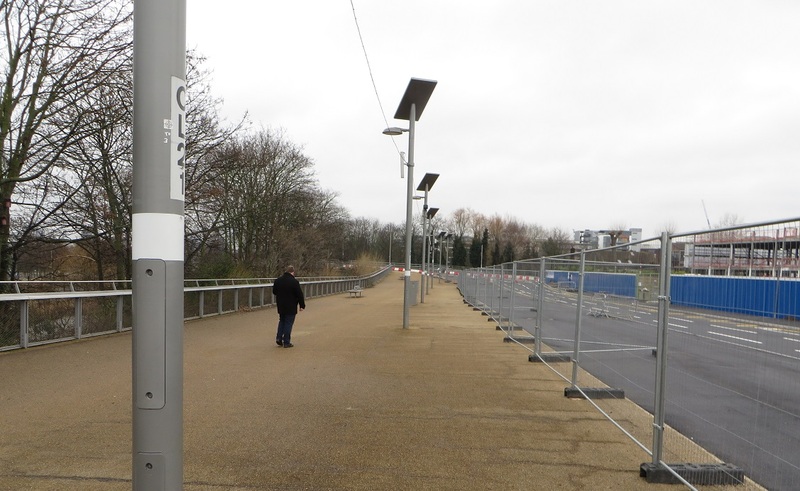 Note the two new bridges over the River Lea at the end of this road, one temporary for construction vehicles and a wider one alongside, designed for a post games park. 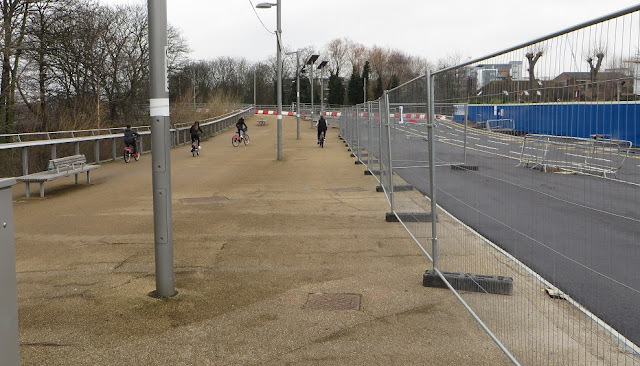 The road is still fenced off and so, as tempted as I was to sneak through and takes pictures from within the site, I had to make do with taking pictures either through gaps in the fence or over the top of it instead. Imagine if there was a network of cycle tracks in the Olympic Park that were as well designed and linked together as seamlessly as the road network in the park does. 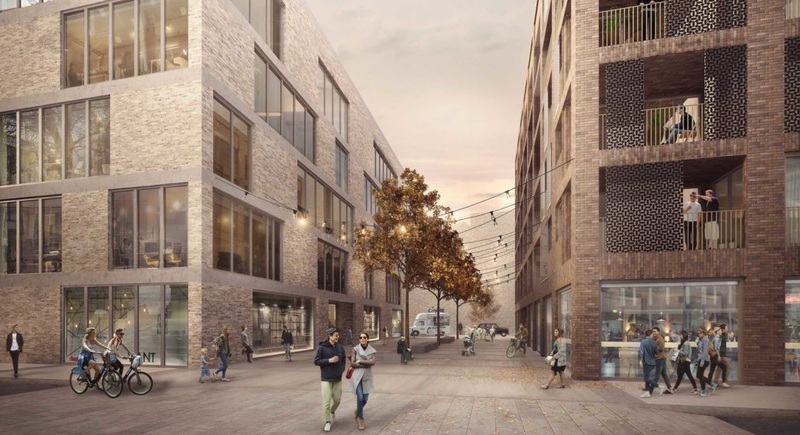 Who wouldn't want to live in a new development where anyone can cycle to wherever they want to go to in safe conditions? 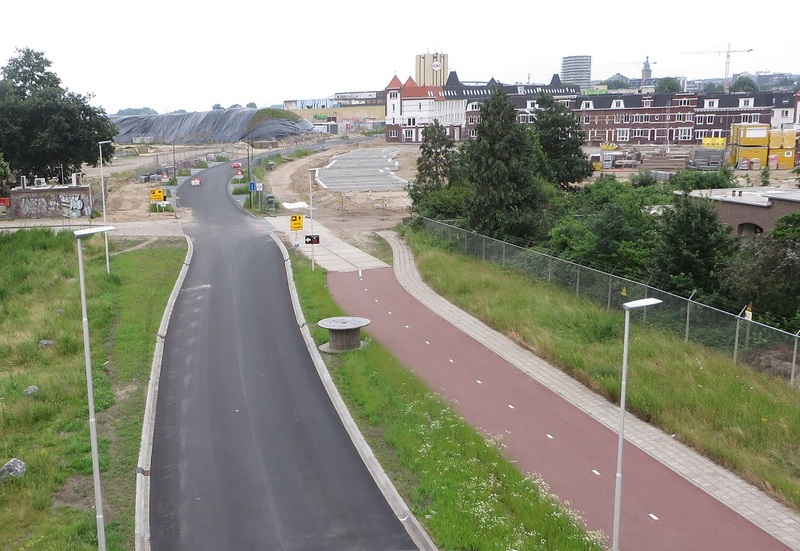 A new development on a former industrial area of Nijmegen. 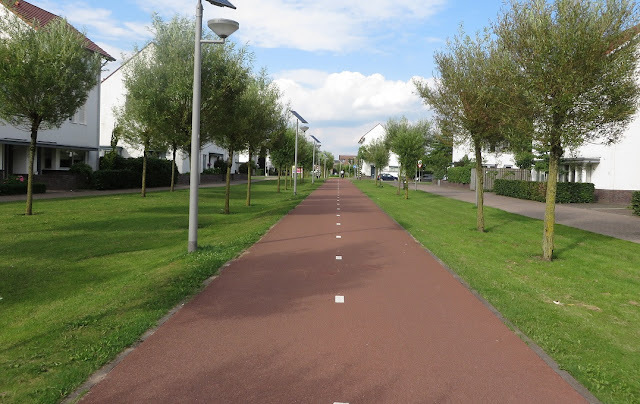 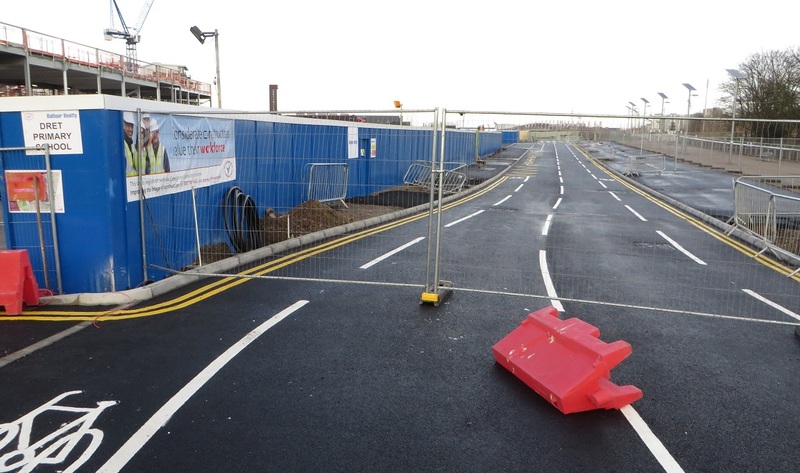 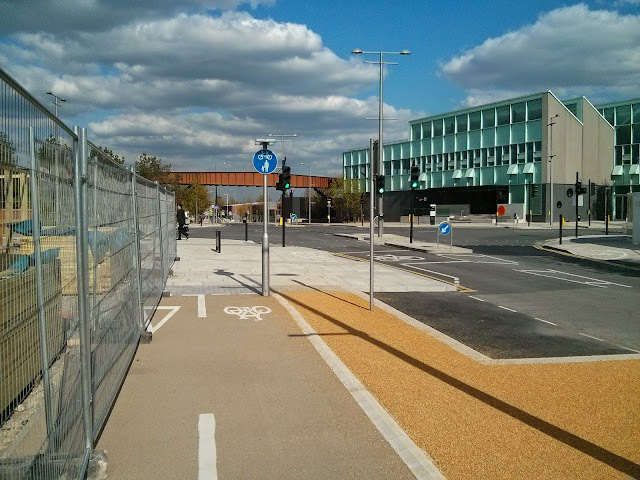 The cycle track has already begun, planned as part of the entire project. 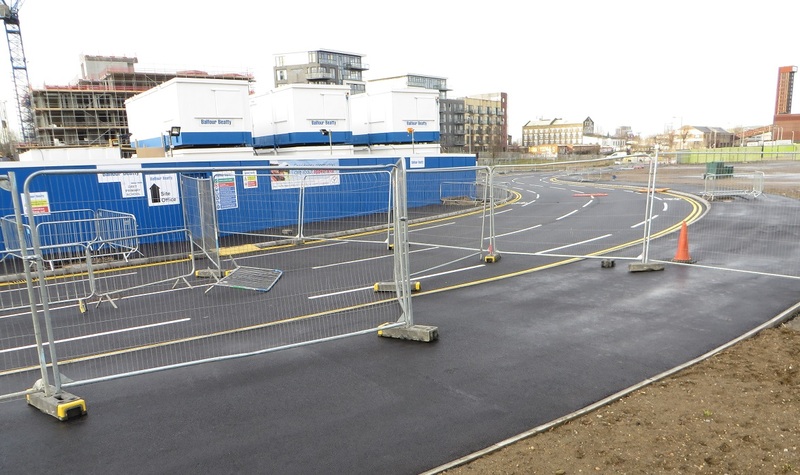 You can see where it will be extended as building of apartments is complete, set back from the carriageway at that side road. 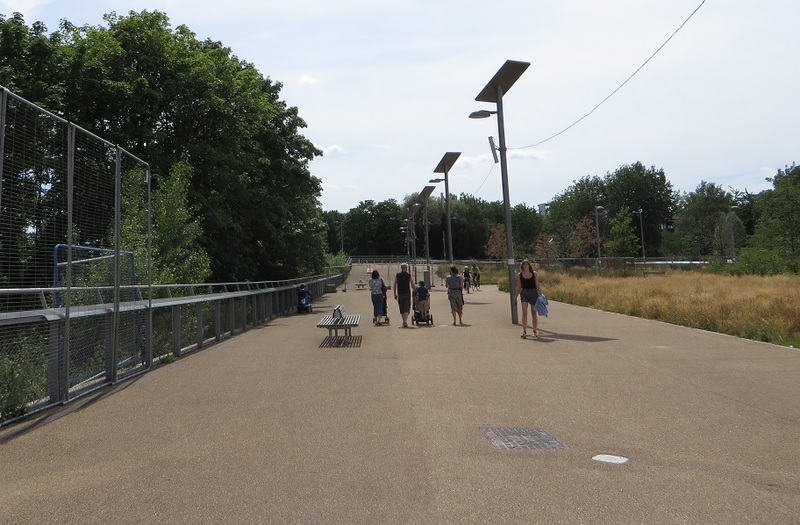 Why wasn't something similar planned in the Olympic Park? Primary School children exit a school in Beuningen, the Netherlands, directly onto a cycle track, despite their young age they will be able to cycle home alone safely in motor free conditions, even if they have to use main roads. 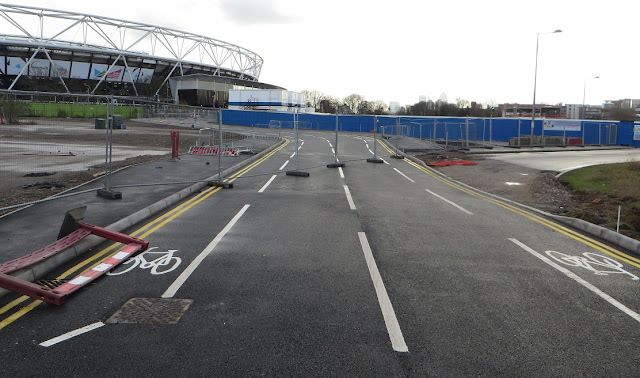 The Olympic Park does have some cycle tracks on the main roads but they don't generally link up, or they suddenly end forcing you back into traffic. 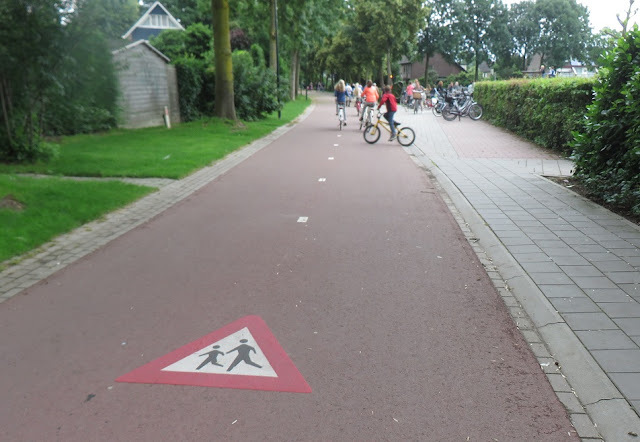 However where they exist they are well used by families. 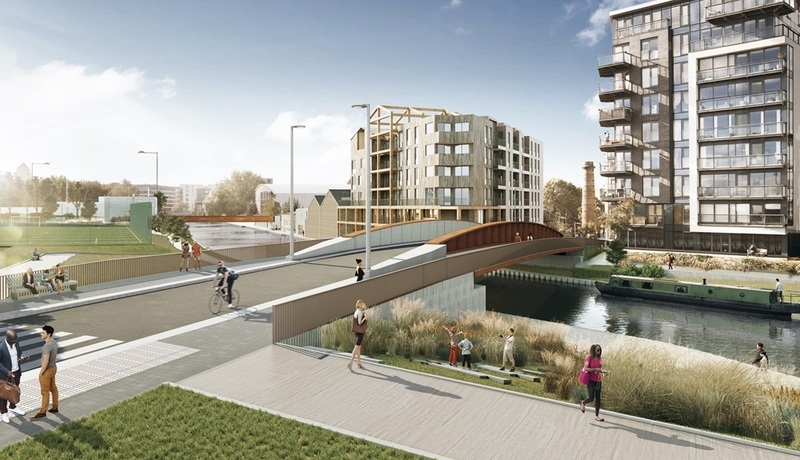 The Carpernter's Wharf development alongside the bridge on Fish Island. 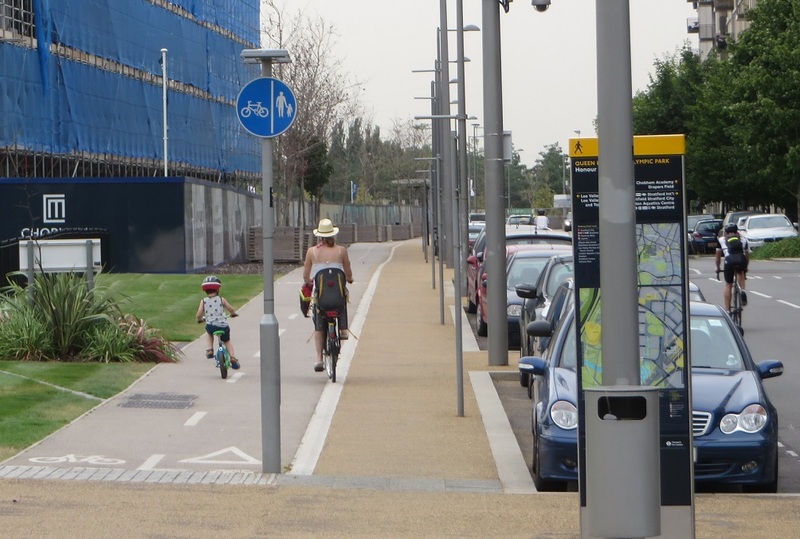 In the visualisation everyone is travelling by bike, skateboard or on foot. 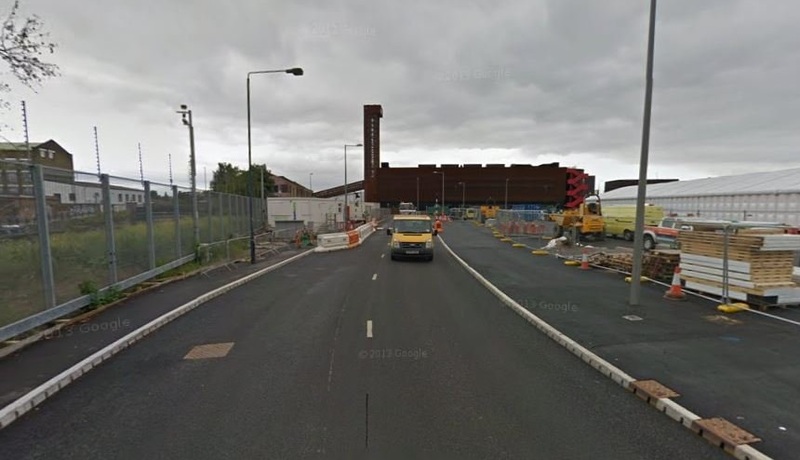 The visualisation is in accurate as it does not show that the 120 year old Chimney Shaft will be demolished this year for a new road carrying an estimated 950 motor vehicles per hour into the park. 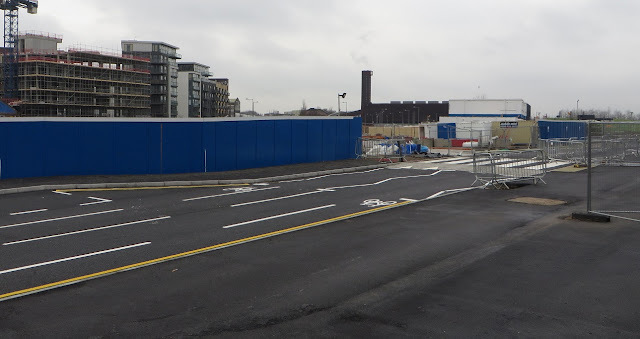 The LLDC should not be constructing this new road, if anything they should be turning other roads leading into the park into filtered roads, enabling them to be used by pedestrians and cyclists only, whilst redesigning cycle tracks along the main roads that do already exist. 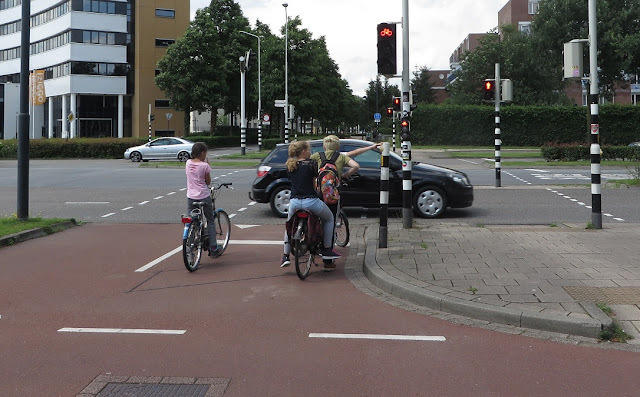 How many second chances do they need? 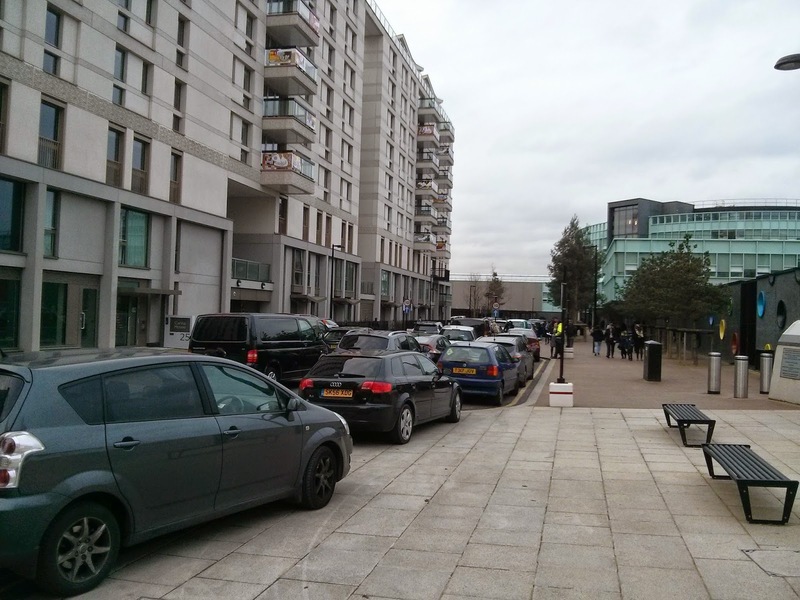 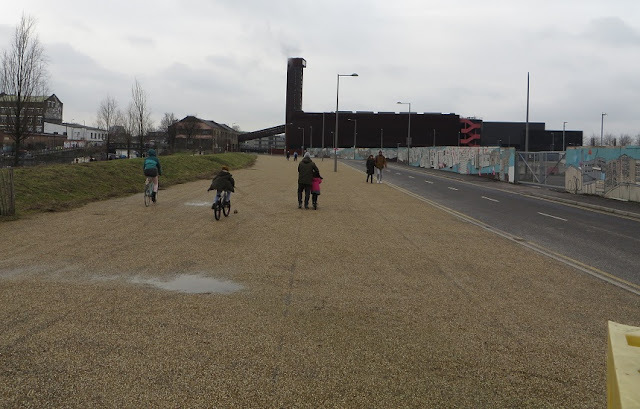 Most of the Olympic Park has been designed around cars, not people and I find it astounding that well used pedestrian and cycling routes that already exist are about to be destroyed for a new road network. 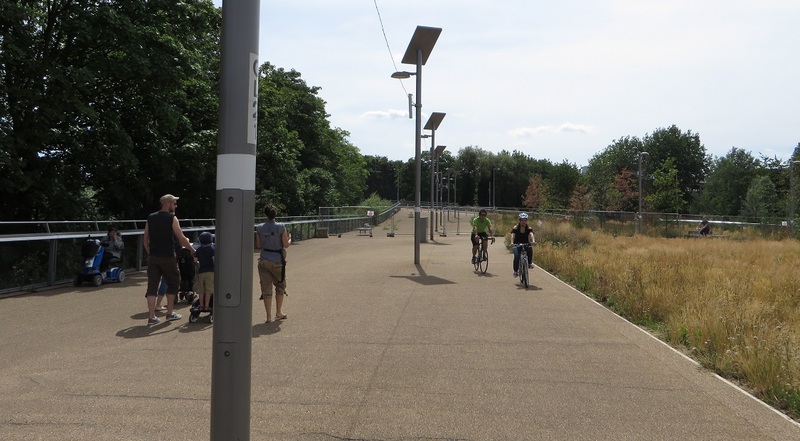 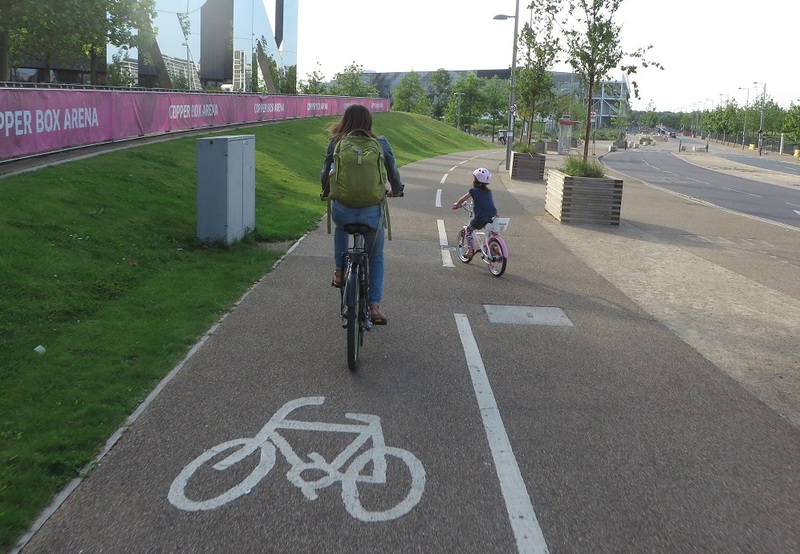 The Olympic Park should be designed to encourage walking and cycling by building routes that make it attractive and convenient for people to do so. 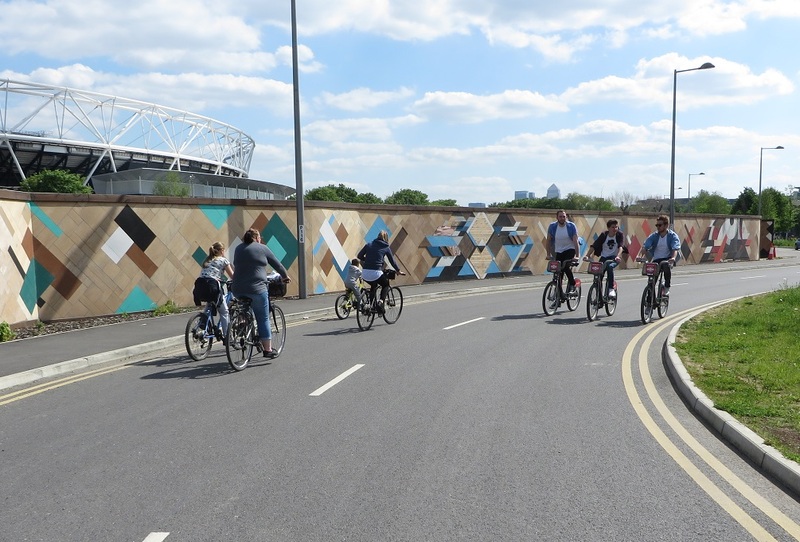 We aren't going to tackle London's air pollution crisis by making it easier and more convenient for people to drive than to cycle. 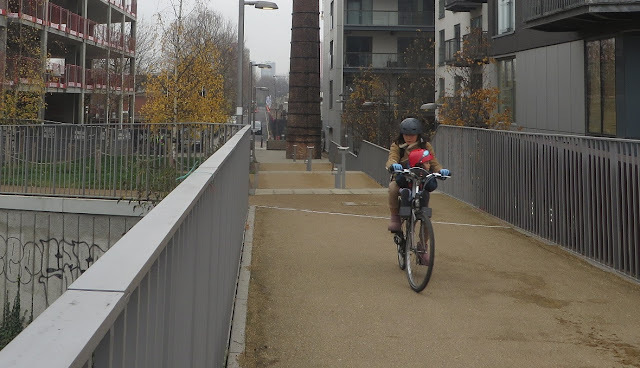 I already have the rare opportunity to be able to cycle to the swimming pool, shopping centre or into the Centre of Stratford with my daughter without the danger of maxing with cars, buses and lorries. 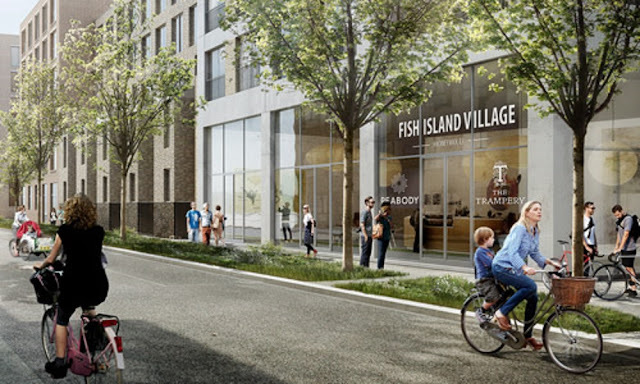 That luxury is soon to be taken away from me, as well as many other current local and future residents. 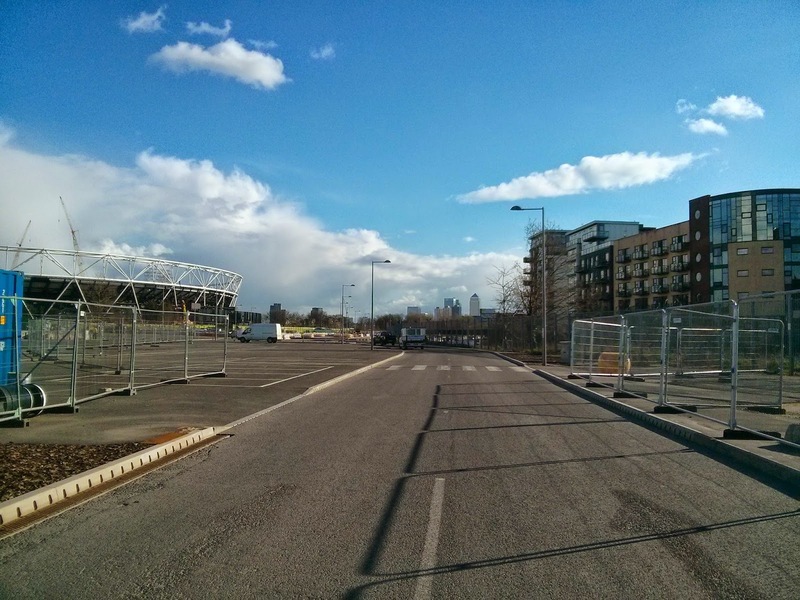 How it that part of the sustainable Olympic legacy? 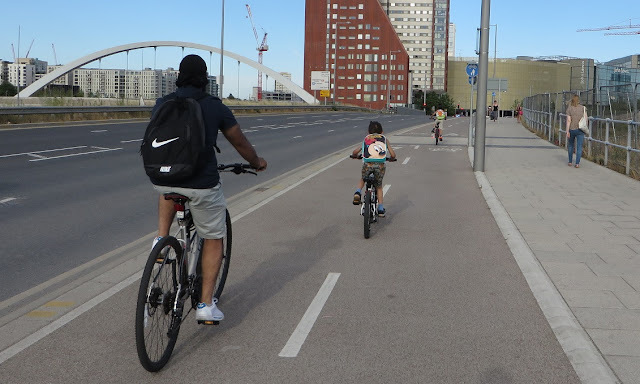 The Mayor should urgently review this decision by the LLDC as it goes completely against his commitment for cleaner air. 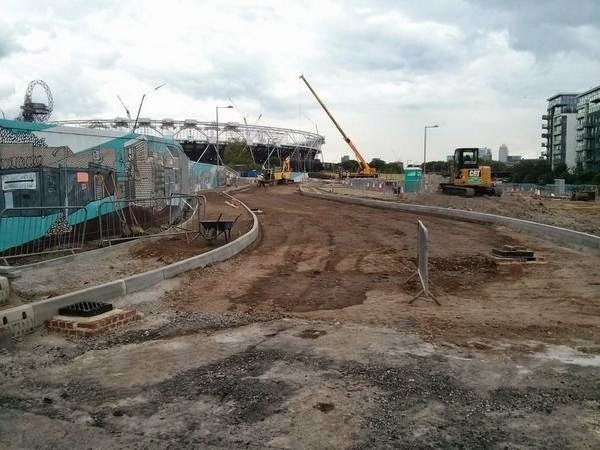 If he does not act now then a peaceful and safe route for children to travel in and out of the park will soon be lost forever.